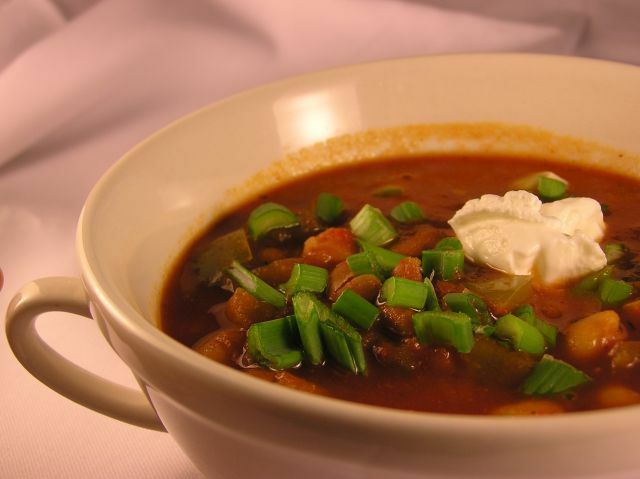 Its still a little chilly in our part of the world and this chili is right for those nights where you just want something to warm you up. Heat 1tbsp oil in a sauce pan; add onions and garlic and sauté until translucent. Add celery and green peppers; cook until veggies are tender, about 10 minutes. Add the beans, crushed tomatoes, bay leaf, chili powder, cumin powder, bouillon cube (if using), salt and pepper; simmer for about 15-20 minutes on medium-low flame. Adjust seasoning and serve warm.